Vytautas Kaniusonis, Oona Mekas, Rimas Blockis et al. 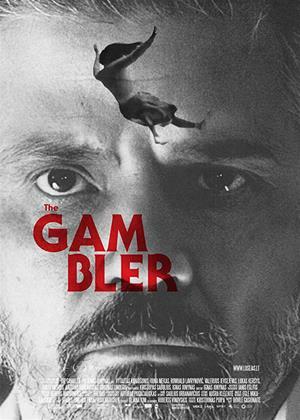 Vincentas (Vytautas Kaniusonis) is the best employee at the emergency services station, whose passion is one - gambling in different games. Whenever he lands in some difficult situation, the medic is forced to grab onto something radical to return the money he is constantly losing. An idea strikes Vincentas to create an illegal game related to his profession. Initially the employees at emergency services are the only ones to be attracted to this macabre engagement. Soon enough, however, the idea kicks off and starts spreading like wildfire. The medic colleagues become betting agents, whereas Vincentas takes control of its bank. As financial matters keep on improving, a coworker Leva starts objecting to the game. A passionate relationship has just unfolded between her and Vincentas. Soon enough he is going to face making a fateful choice - the game or love.